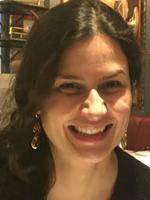 Sonja Avlijaš was a post-doctoral research fellow at LIEPP from October 2016 to April 2018. She defended her PhD in political economy at the London School of Economics and Political Science (LSE) in December 2015. Sonja’s research focuses on how the experience of post-socialist transition in Eastern Europe can help us to understand the evolution of capitalist political economies in the era of globalisation. Her PhD thesis examined how the type of economic development strategy a country pursues shapes women’s labour market opportunities. At LIEPP, she assists Prof. Bruno Palier on projects focusing on the interactions between the welfare state and the new economy. She also conducts her own research on the politics of social investment. In addition, Sonja is one of the editors of the 'Europe in Question' Discussion Paper Series at the LSE’s European Institute and a research associate at the Foundation for the Advancement of Economics (FREN) at the Belgrade University’s Faculty of Economics. She was a visiting fellow at the Centre d’études européennes, Sciences Po during the spring of 2016. Prior to joining the LSE in 2011, she worked at the Deputy Prime Minister’s Office of the Government of Serbia. As an independent consultant, she has collaborated with the European Commission, UN Women, ILO, the World Bank and USAID. Which policies for the development of knowledge-intensive jobs in Europe?